Sourcetronic GmbH - we love electrons. 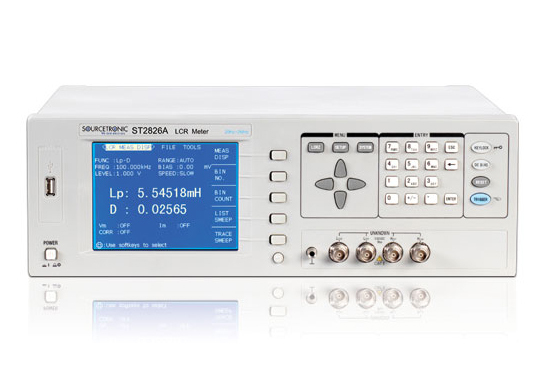 Whether in the lab or in production, in building or civil engineering, automotive technology or in the field of energy - reliable electronic measurements form the base for smooth operation of countless terminal devices. 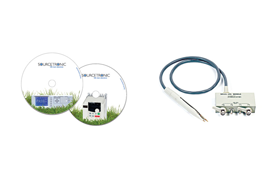 Sourcetronic ensures that you can depend on your measurements. For many years Sourcetronic produces powerful electronic devices and test equipment for drive engineering, metrology and solar technology. Apart from frequency inverters or ac drive you will find solar inverters, insulation testers, desktop multimeters, megohmmeters as well as other quality electronics in the ST frequency inverter shop, creating a surplus value for your business. In practice all devices from the frequency inverter to the microohmmeter work with high precision and absolute reliability. The values calculated are easy to reproduce in subsequent measurements. The ST®Drive software provides for comfortable drive and control of the frequency inverters. Due to the self-adapting ramps and automatic this is done by the single push of a button. 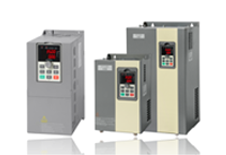 The sophisticated vector control of the ac drives ensures a uniform drive quality even in case of a sudden change of load. Due to reliable safety features like "PID feedback abnormity" drive and motor are optimally protected even under challenging circumstances. In addition engineers, technicians and electro-mechanics but also private individuals can buy ac drive accessories like drive-resistors and EMC filters here. The application fields for ac drives are numerous. Modern building is not imaginable without ac drives in heating, ai conditioning systems and ventilation e.g. in pump control or standard applications with high integration density. The power of your ac drive can freely be chosen from 0.75 kW to 7.5 kW up to 630 kW. Mains voltage is available as 230 V, 400 V, 500 V, 690 V and 1150 V.
The frequency inverters feature a RS485 interface as well as digital and analog I/O ports and multi-functional ports (230VAC/30VDC, 5A). Furthermore these RoHS and CCE conforming frequency inverters are equipped with numerous safety functions like short circuit, ground fault as well as over- and undervoltage protection. By their extremely wide range of services and the numerous functions Sourcetronic frequency inverters meet all requirements of modern industrial applications. Visit the ST shop and set the foundation for an even higher standard in your business - with quality electronics from Sourcetronic! For more information about our products, please visit About convenient meters. Find your ideal drive solution. Sourcetronic is available in a range from 0.4 KW up to 630 KW, with frequency inverters, pump control, emi filters, breaking resistors, softstarters, chokes, software and apps. Professional protection test equipment, isolation testers, ground- and resistor meters are used in various occasions and areas, such as in the medium voltage division, at energy providers or at service enterprises. Measurement engineering is a major division of Sourcetronic. Your measurement engineering specialist, specialized on highly diverse measurements, such as resistor measurements, LCR, high voltage, isolation resistors, security tests but as well multimeters, oscilloscopes and software. In Miscellaneous, you find detailed information about our frequency converter shop as well as interesting information about resistor meters, isolation testers, megaohm meters and much more. Learn more about calibrations, loan service and training. The regular and preventive maintenance ensures the highest reliability, high availability and a long life of your equipment.